Monday morning I woke up and went back to the Dubai Mall (obviously) to tour the Dubai Aquarium which is inside the mall. I made a couple new friends. I wasn't sure how I felt about seeing a penguin in a mall,in the dessert but he seemed happy enough. After the mall I met one of our gracious hosts, Alana and her amazing 84 yr old grandmother who is visiting from Virginia - at the top of the Burj Khalifa for lunch. 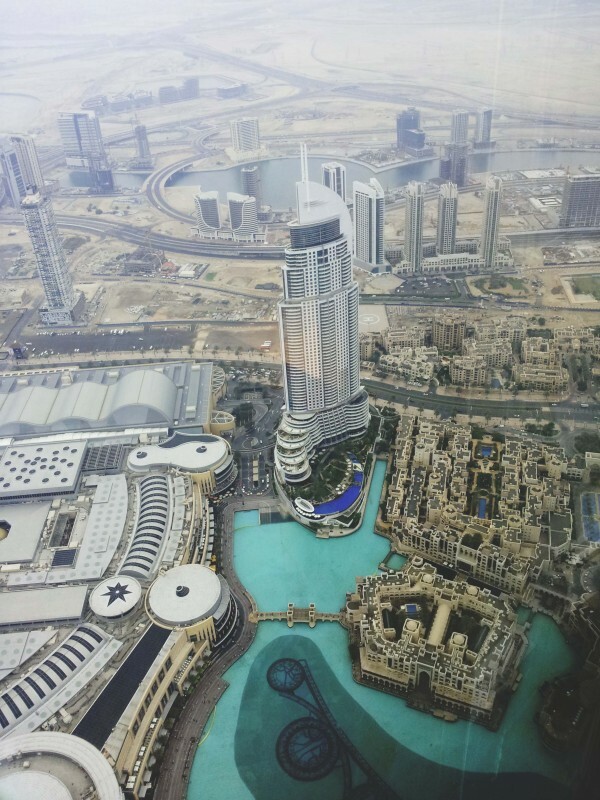 The restaurant was on the 123rd floor - the views were amazing, especially the views in the bathroom! After our stop at the Burj Khalifa we headed 90 minutes north to Abu Dhabi. Stay tuned for Abu Dhabi..